Good remarks are that economically backward students will definitely have a Bright future here. Also, placement opportunities are great. Finally, I tell about our college are having good students not to worry about that. But my point of view they are considered merit for PG courses is a foolish way. Except for this and the placement all are good. In my opinion my college is absolutely good and would rate my college as one of the best among the colleges in Madurai and especially in my stream of degree. My college Management is Good as the Most. We people have much more respect on my management. They all treated us well. 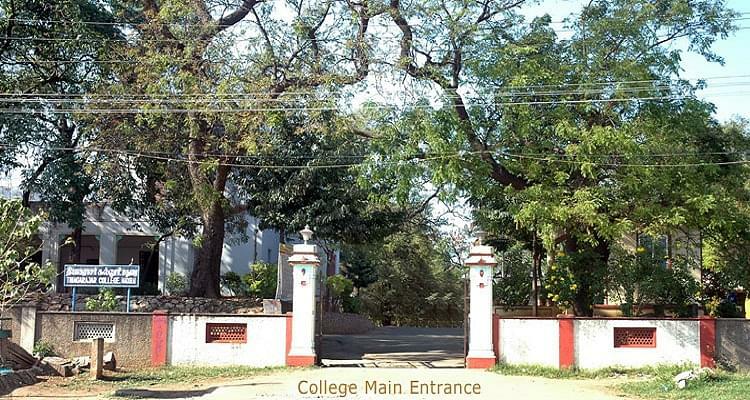 Thiagarajar College, Madurai, is a college set up by the K.K. Thiagarajan Chettiar and is maintained by his trust funds. The college was established with one goal in mind, to help in uplifting the masses by providing them with quality higher education. The main focus of this college is to equip their students with the knowledge to help them prepare for the ups and downs of today’s competitive corporate world. The basic thought process is that the education must be achieved and not forced. Keeping with this, the teaching system is such that it generates curiosity and enquiry. This is only helped by the facilities and the learning environment provided to the students. Also, the curriculum has been designed meticulously to help the students achieve their maximum potential. Why to join Thiagarajar College? Thiagarajar College has been accredited A by NAAC because it has the best faculty members that make use of the facilities available and mentor the students towards a brighter future. Thiagarajar College has associations with various national and international organizations like the University of Oslo- Norway, Rotary International- USA, Tokyo University- Japan, IICT Hyderabad, etc. The library is one of the oldest and has the collection of some rare books. This library has also initiated an OPAC system that helps the students in their search for any material in the library. This helps the students broaden their perspectives and gain knowledge apart from the academic courses. Hi Basith, Yes, you can apply for BCA Course in this college, They give admission on 12th basis. Thiagarajar college doesn't have any entrance examinations. The seats are allotted on merit bases (12th marks) and an direst interview. The Entrance exam is CAT. The score id did much more but i have pass through. The main focus is that is to give the right option on the campus is the second one and the first is the Professors who guide us in the best way.